Silver Creek is a nine story building with three residential wings around a central core housing a lobby with shops, restaurants, and lounges in a skylighted atrium. Encompassing more than 7 acres under one roof, it houses 239 residential units and an indoor-outdoor pool. For more information about amenities and attractions Click Here. For photos of typical Silver Creek Units Click Here. If you are staying at Silver Creek, your parking is normally included in your nightly room rate. For guests that are not staying at Silver Creek and still visiting the Silver Creek Ski areas during the winter months, a daily parking fee will be charged. Click Here for Rates and More Information. It is important to know that if you are lodging at Silver Creek, the building is not pet-friendly. 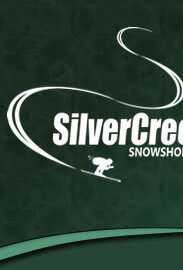 Silver Creek owners are permitted to have pets and must abide by the Owner Pet Policy. Guests with therapy and emotional support animals must adhere to the Assistance Animal Policy and must complete the Pet Registration Form. Therapy, emotional support and service animals may not be left in the lodge rooms unattended.